This is the one! This beautiful 3 BDRM house is located in Mad River Twp. Peaceful, country setting yet close to I-70, 675 and WPAFB. Greenon schools! 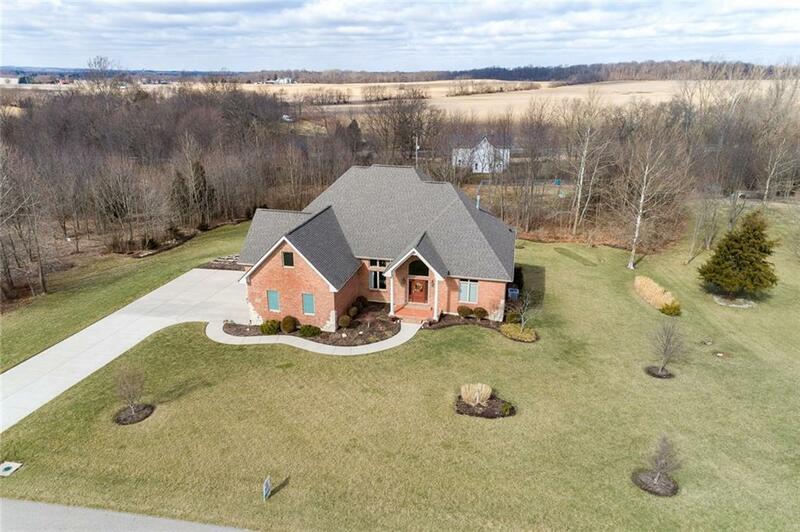 Enter the front door of this home and into the spacious foyer that is open to the great room with cathedral ceilings, large windows and fireplace. Eat-in kitchen with island, built in appliances, granite countertops, ceramic flooring. Breakfast nook with a view of the semi private, tree lined backyard. Sliding doors lead to a large deck that's perfect for entertaining! Huge dining room. Conveniently located on the main level, is the utility room, office, huge master suite with fireplace, spacious walk-in closet. Master bath has heated floor, double sinks, jetted garden tub, oversized walk-in shower. Upper level overlooks the great room, 2 guest BDRMS, both with walk-in closets. 2765 sq.ft. (PCR) doesn't include the full unfinished lower level plumbed for a full bath or the 22x12 bonus room! Whole house generator. Welcome Home! Directions: I-70 W To Enon Exit. L. Enon Rd. To R. On S. Xenia Dr. To L On Rebert Pk. To R. On Hagan Rd. L. On Echo Hills Ave. L. On Riley Rd. L. On Sullivan To 4798.